Two weeks ago in Italy, the L’Aquila Prosecutor’s office indicted scientists, some of them members of the “Commissione Grandi Rischi” (Commission for High Risks), and civil protection officials for manslaughter. 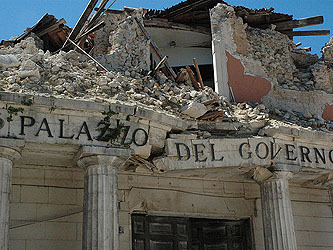 The basis for the indictment is that these people did not provide a short-term alarm to the population after a meeting of the Commission held in L’Aquila six days before the Mw 6.3 earthquake that struck that city and the surrounding area. The president of the Italian National Institute of Geophysics and Volcanology, Enzo Boschi, and the director of the National Earthquake Center, Giulio Selvaggi, are among those under investigation. I have a feeling that Italian geologists may be very reluctant to serve on the Commission for High Risks in the future.